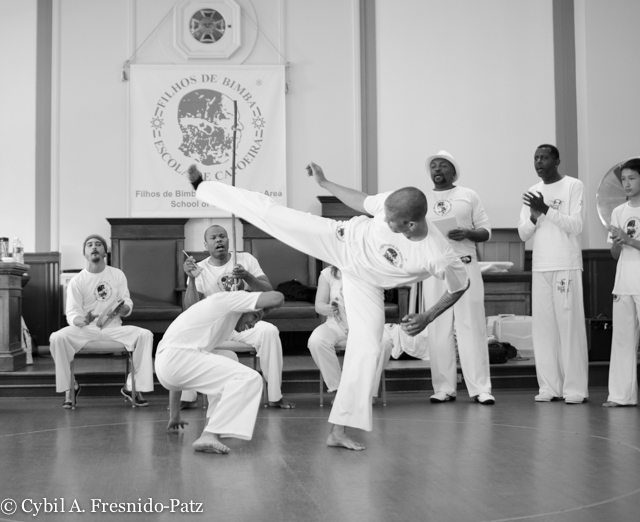 Capoeira is an Afro-Brazilian martial art that combines music, dance, acrobatics, and self-defense. 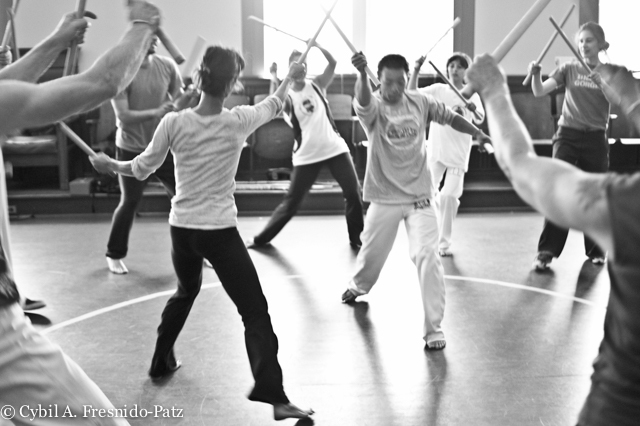 The attack and defense movements are very rhythmic due to its African roots. 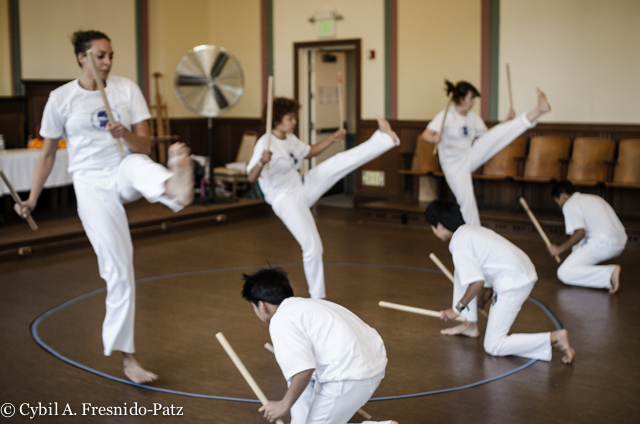 Music and song accompanied by percussion is an inherent part of Capoeira, and an integral part of what we teach here at Filhos de Bimba Bay Area. 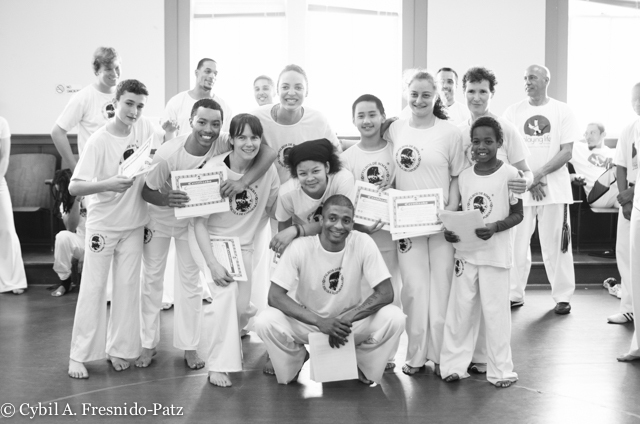 Our school preserves the cultural legacy of Mestre Bimba and the essence of Capoeira Regional including it’s effective methodology of teaching, character building principles, rich traditions and rituals. We welcome students from all backgrounds regardless of age, gender, race, color, creed, national origin or athletic experience. We help students build self-confidence by providing the proper tools to enhance strength, flexibility and endurance. 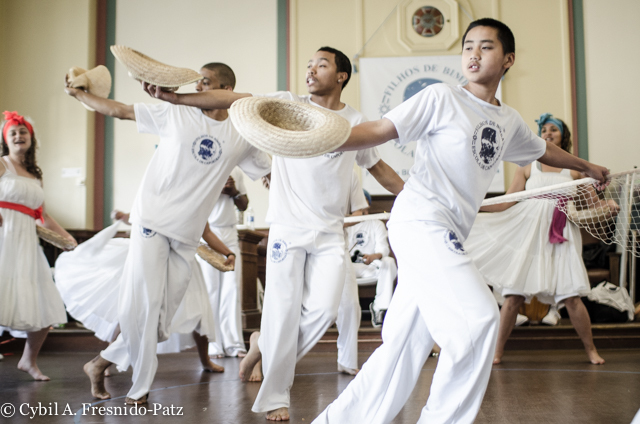 Our East Bay Capoeira school is located in Emeryville, conveniently placed between Oakland and Berkeley, and within a short distance from San Francisco. 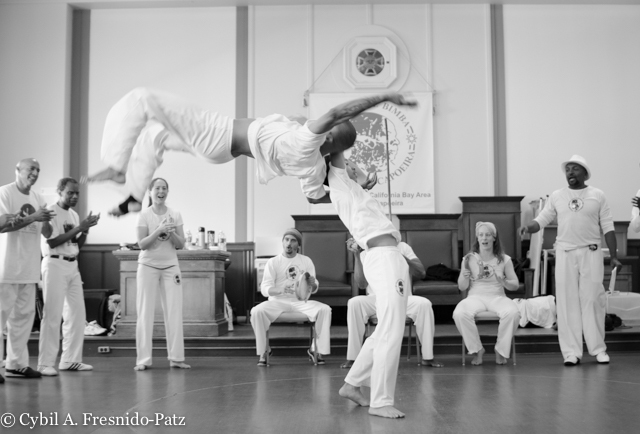 We invite you to visit, watch, try and enjoy Capoeira! Above is a short documentary on Capoeira Regional featuring our school. This was filmed during the inaugural celebration of our East Bay núcleo and it shows the significant impact the art of Capoeira has on culture, society, and multi-ethnic communities. 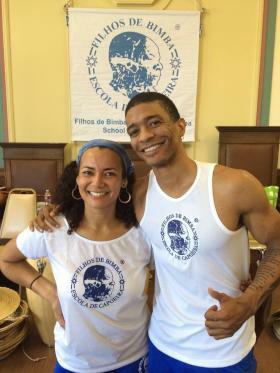 Filhos de Bimba Escola de Capoeira was founded on June 10, 1986 by Manoel Nascimento Machado (Mestre Nenel), the son of Mestre Bimba, the creator of Capoeira Regional, and the most influential master of Capoeira. 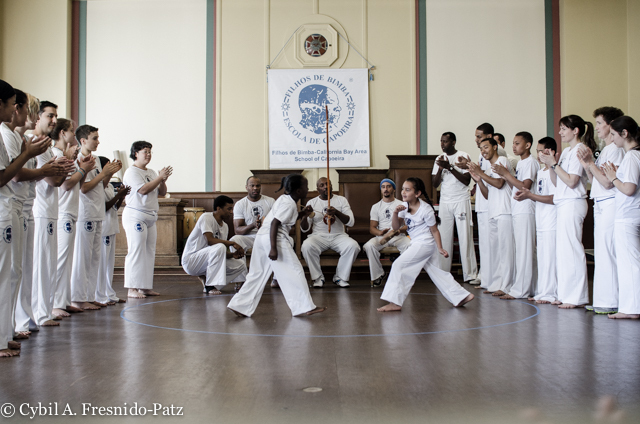 The focus of our school is to educate, train, study, promote and help preserve the traditions and principles of Capoeira Regional and it’s roots in Afro-Bahian culture. Much is said today about progress and evolution, but the traditions and preservation of history is often forgotten. Learning about our past, our roots, and our ancestors provide us with ways to express ourselves in the present so that we can better shape our future. Over the years, Filhos de Bimba has expanded across the globe with various schools in Brazilian cities (Limeira SP, Ribeirão Preto SP, São José do Rio Preto, SP, MG Barbacena., Belo Horizonte MG and Jaragua do Sul SC) and to other countries such as England, Belgium, Italy, Canada, Croatia, Germany and Lebanon. 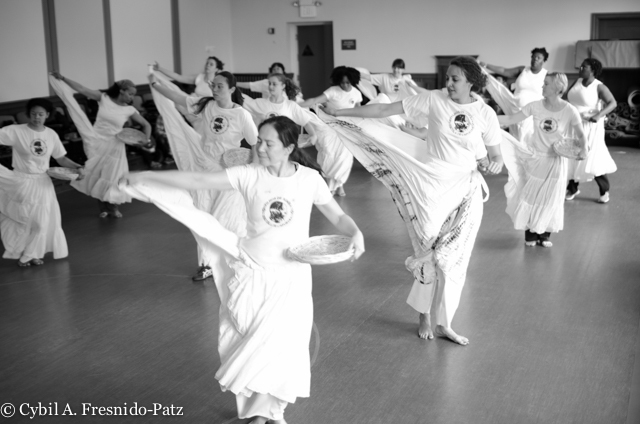 March 30, 2013 marked the inauguration of Filhos de Bimba Escola de Capoeira—California Bay Area, the East Bay is now home to the first núcleo in the United States! 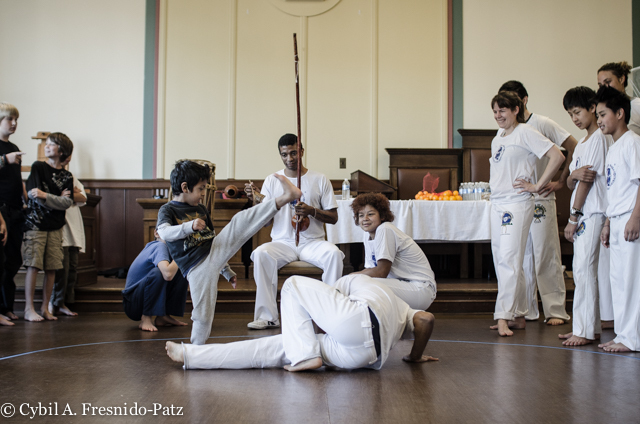 Omi Tutu works in collaboration with Filhos de Bimba California Bay Area School of Capoeira and is a study and performance group devoted to the acquisition and transfer of knowledge related to the artistic manifestations of the African Diaspora. 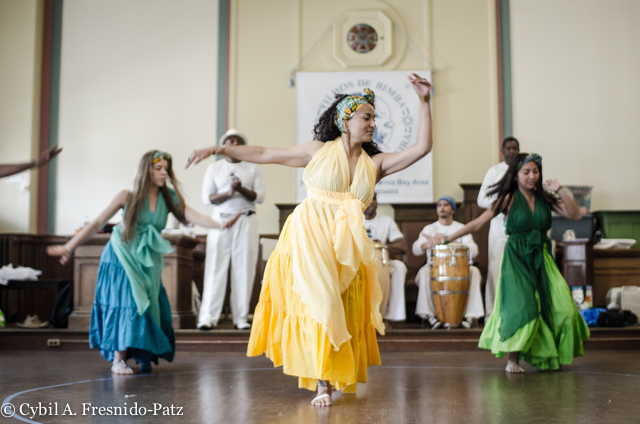 Nives Wetzel de Cediel, aka ​​Professora Sambambaia, directs Omi Tutu and offers comprehensive instruction in samba, dança afro, puxada de rede, samba de roda, dance technique, and conditioning.